An official journal of the NAVC, Today’s Veterinary Practice is the trusted source for peer-reviewed clinical information in veterinary medicine. Our goal is to enhance knowledge and encourage confidence, inspiring the highest quality of veterinary care. As an NAVC publication, our audience has access to world-class continuing professional development developed for the global veterinary health care community. Simon R. Platt, BVM&S, FRCVS, DACVIM (Neurology), DECVN, is a professor of neurology and neurosurgery at University of Georgia College of Veterinary Medicine. His research interests include ischemic disease of the central nervous system, canine brain tumors, and epilepsy. Dr. Platt is a member of the International Veterinary Epilepsy Task Force and a founding member of the Southeastern Veterinary Neurology Group. He has authored or coauthored more than 190 journal articles and 50 book chapters and is the co-editor of three textbooks: BSAVA Manual of Canine and Feline Neurology, Manual of Small Animal Neurological Emergencies, and Canine and Feline Epilepsy: Diagnosis and Management. Dr. Platt received his veterinary degree from University of Edinburgh (Scotland) and completed an internship in small animal medicine and surgery at Ontario Veterinary College (University of Guelph) and residency in neurology and neurosurgery at University of Florida. 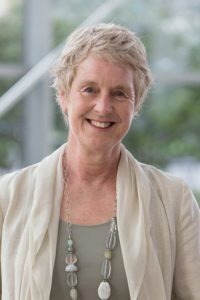 P. Jane Armstrong, DVM, MS, MBA, DACVIM (Small Animal Internal Medicine), is a professor in the Department of Veterinary Clinical Sciences at University of Minnesota College of Veterinary Medicine. She is also a member of the World Small Animal Veterinary Association (WSAVA) Liver Standardization Group. 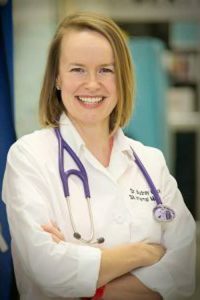 Her clinical and research interests include gastrointestinal disease, feline medicine, integrative medicine, clinical nutrition, and canine genetics. Dr. Armstrong is a past president of the American College of Veterinary Internal Medicine (Small Animal) and Comparative Gastroenterology Society. She received her DVM from Ontario Veterinary College, University of Guelph; then completed an internship at University of Illinois and residency and Master’s degree at Michigan State University. 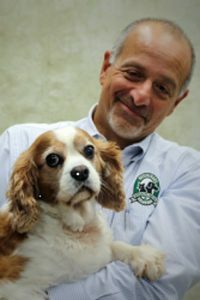 Mark Cofone, VMD, DACVS, is a surgeon at Veterinary Specialty Center of Delaware in Wilmington, Delaware. He has been in private specialty practice for 18 years; the past 12 years as managing partner at VSCD. Prior to joining VSCD, he was a senior scientist at Ethicon, Inc. His specialty areas include orthopedic surgery, joint reconstruction, bone deformities, arthroscopy, and sports medicine. Audrey K. Cook, DACVIM, DECVIM, is Board Certified in Feline Practice (ABVP). She is currently an associate professor of small animal internal medicine at Texas A&M University, with particular interests in endocrinology, gastroenterology, feline medicine and endoscopy. Dr. Cook routinely speaks at national meetings and is a recipient of the Texas A&M University Distinguished Achievement Award in Teaching. 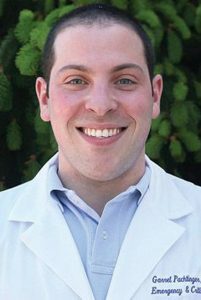 Garret Pachtinger, VMD, DACVECC, is a veterinarian at the Veterinary Specialty and Emergency Center in Levittown, Pennsylvania. He has helped develop the emergency room and intensive care unit at VSEC as well as develop their emergency and critical care internship program. His research and clinical interests include toxicology, respiratory disease, renal disease management, and fluid therapy. Dr. Pachtinger is actively involved with the American College of Emergency and Critical Care and is a consultant for the Veterinary Information Network. He has published numerous scientific articles and book chapters and lectures nationally and internationally. Dr. Pachtinger received his degree from University of Pennsylvania and completed a 1-year internship in small animal medicine and surgery, 1-year internship in emergency and critical, and 3-year residency in emergency and critical care at the same institution. Dr. Palmer has worked in both academic and private specialty practice. Ross is currently a Professor of Orthopedics at Colorado State University. He has been an invited speaker at conferences throughout the world. He is the Director of the Complete Course on External Skeletal Fixation now in its 25th year of training veterinarians. He’s authored more than 50 scientific publications. He has served as a board member of the Veterinary Orthopedic Society (VOS), World Veterinary Orthopaedic Congress, the North American Veterinary Conference and the Veterinary Surgery Journal. 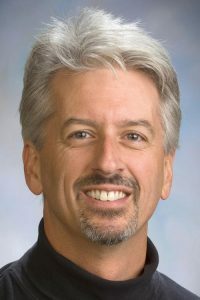 His research is primarily directed toward knee injury, cartilage repair, bone healing and orthopedic fixation and he has collaborated with Harvard Childrens’ Hospital, numerous universities, the National Institute of Health (NIH), the National Aeronautics & Space Administration (NASA) and numerous human healthcare companies. He has mentored numerous recipients of the Best Clinical Research Award and the Mark Bloomberg Resident Research Award from the VOS. He enjoys hiking, cycling, fishing, international travel and taking time “off the grid” with his family at his cabin in northwest Ontario, Canada. 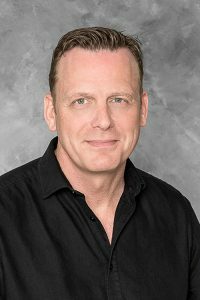 Michael Schaer, DVM, DACVIM, DACVECC, is a professor in the Department of Small Animal Clinical Sciences and Special Assistant to the Dean at the University of Florida College of Veterinary Medicine. His research interests include small animal internal medicine, endocrinology, and emergency/critical care. 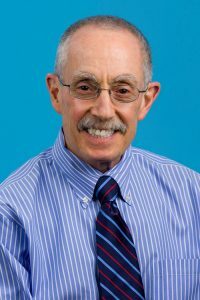 Dr. Schaer has published numerous scientific articles and book chapters and is the author of Clinical Medicine of the Dog and Cat, 1st and 2nd editions, and Clinical Signs in Small Animal Medicine. He also lectures nationally and internationally. Dr. Schaer’s previous positions at UF include associate chairman, associate chief of staff, and service chief. Prior to joining the UF faculty, he was in small animal private practice in New Jersey and on staff in the Department of Medicine at The Animal Medical Center in New York City. Dr. Schaer received his DVM from University of Illinois and completed his internship and residency at AMC.